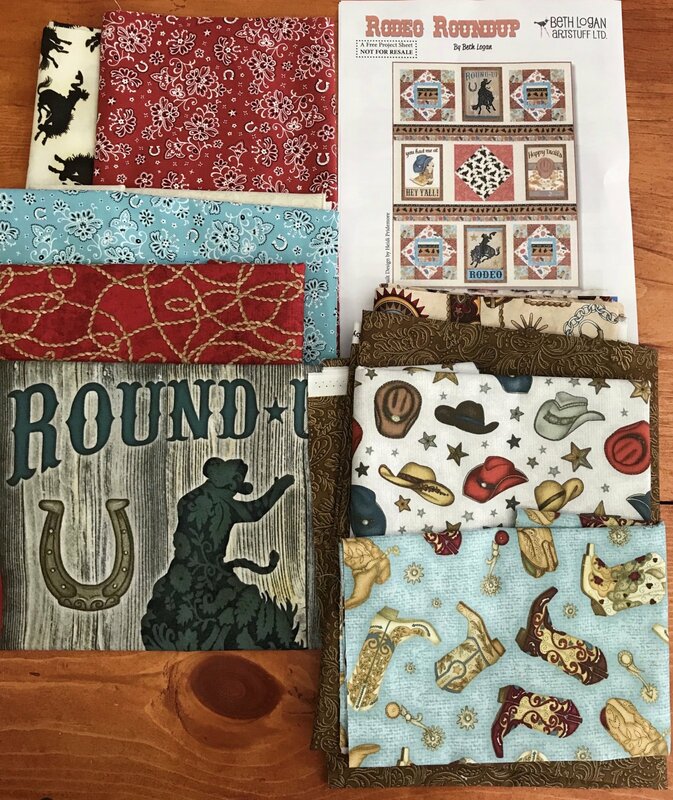 This Western-themed kit includes fabric for the quilt top and binding. Backing and batting not included. Finished size is 52"x67".